Go ahead. Be an Artist. The world of crafting is Unlimited--so why let a digital cutter limit you! 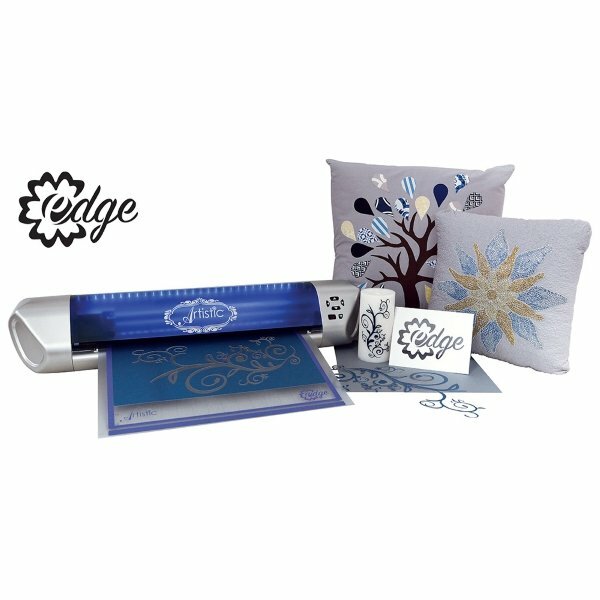 The Artistic Edge offers you an endless amount of options for every kind of crafter. The Artistic Edge 15-inch cutter now includes wireless technology. You can also use one of the 3,500 included designs. The Edge cutter can take your quilt to the Next Level! Using a digital cutter can make your quilts come alive in ways you've only imagined. Replicate fabric patterns, cut full sheets of fabric without having to use a rotary cutter, or create custom shapes. You'll have more time for quilting when it takes less time to cut out fabric leaves.